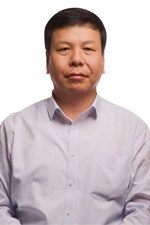 Mr Jinghua Han is an Executive Director and Chief Executive Officer of PMC since 1 November 2013. Mr Han's career began in July 1985 with Handan Steel Company (now part of HBIS Iron & Steel Group) after graduating from the HEBEI Mechanical and Electricity Institute where he majored in Industrial Electricity and Automation. Mr Han was awarded an MBA degree in 2008 from the Beijing University of Communications. Mr Han was employed by Handan Steel Company from 1985 to 2008 in a variety of positions, including General Manager of Handan’s steel plant. He then worked in Chengde Vanadium and Titanium Company Limited (a subsidiary of HBIS Iron & Steel Group) as Vice President from 2008 to 2010. In May 2010, he was promoted to Vice President of Chenggang Company, one of the core steel-making subsidiaries of HBIS Iron & Steel Group, responsible for Sales and Marketing. Mr Han holds qualifications in Industrial Electricity and Automation as well as an MBA from the Beijing University of Communication.